Chili mix in a jar is a quick, simple, and frugal gift idea everyone is sure to love. 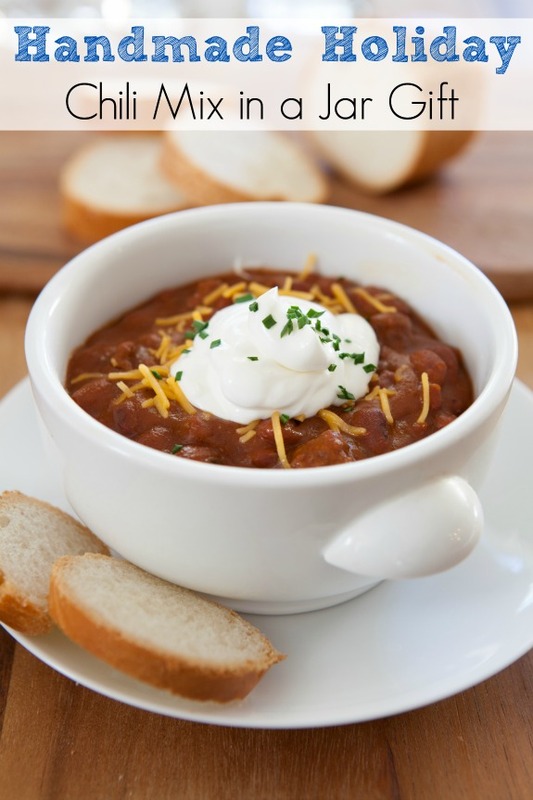 Nothing takes the chill out of winter like a warm bowl of chili! The kids and I made these a few years ago, and they were a HUGE hit! The kids took turns measuring out the ingredients and practiced following directions. Don’t forget to attach a tag with instructions to make the chili. Tip — Add some big soup bowls, and cornbread mix for a terrific and frugal gift set! Fill the rest of the pot with water. Bring to a boil and let simmer for about 3 hours. Add salt and pepper to taste. To serve, top with shredded cheddar cheese and a spoonful of sour cream. Disclosure: This post contains affiliate links. Thanks for supporting us!